Does it matter if the charter school is run by the local school board and all of the charter employees are employed by the local school board? That is the case in Virginia, Kansas, and for the vast majority of charter schools in Wisconsin. It’s been a while, Teaching Economist, but we’ve been down this road together you and I. If you find me a charter school that is run by a duly-elected school board and MUST be run by them, a charter that not only is but MUST be as transparent and accountable, MUST do its business in public with public comment and open documents, that MUST follow all the rules of traditional public schools – then you have found a charter school in name only. At least, it should have to become a fully public school to relieve the redundancy. But no worries. That just means changing its name. Unlike you, I am extremely skeptical that there are states where the law creates something called a “charter school” where that definition is meaningless. If you see a hoop, there is a reason for it. Even with for-profit and nonprofit charter schools there is a reason for the distinction. The “Nonprofit” label allows a for-profit charter school to save face and hide what it truly is. In the cases you mention, someone is exploiting the difference – whatever that is – between traditional public schools and charter schools. We should either allow the innovations of these charter schools to public schools in general (thus eliminating the need for charters) or make it illegal for all schools (thus eliminating the need for charters). However, no innovations have come out of charter schools that I have ever seen. This is a failed experiment at best – highway robbery at worst. Steven I’m curious about your definition on innovation. Would you consider Teacher led https://www.teacherpowered.org/ schools, where the elected school board is made up of a majority of teachers innovative? Would you consider schools that are designed in the model of Ted Sizers Essential Schools and keep class sizes to a maximum of 15 students while the neighborhooding districts regularly have 35, despite the fact that the district schools receive more funding innovative? Would you consider schools that have students co-creating their own learning through all day project based learning innovative? Would you consider schools that provide students with 15-20 overnight learning experiences at no cost to students & families (without doing fundraisers) innovative? Would you consider schools that provide some of the most struggling and disenfranchised students with safe, caring and non-judgemental learning environments where they can progress at their own pace and receive the supports they have been lacking at their home schools innovative? I could go on. If you’re willing to actually spend some time and learn about the options that are available to students and families I can give you the contacts for dozens of schools that were created by dedicated, caring, committed educators who were not able to do the important, innovative work that they believe is best for students. 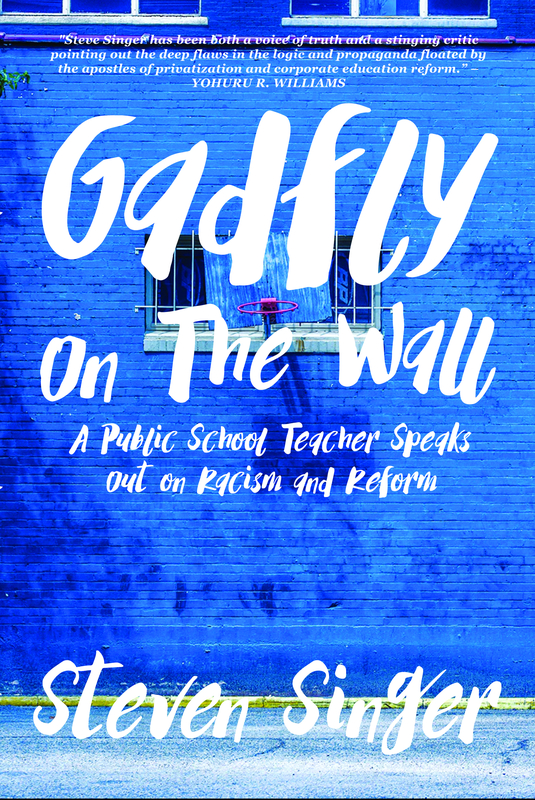 If you’re willing I can share with you the stories of teachers, students, alumni and parents who will tell you how their charter school provided them with a path that wasn’t available to them in their district school. Finally if you are willing I will share with you my school’s annual required audit, and our annual report. Steven, I agree that there are several states that have very problematic charter laws, and quite frankly I wouldn’t shed a tear if they were closed, but to put all charters in the same bunch and claim that none of them are innovative or public either comes from a place of ignorance, or fear that the traditional district schools are not keeping up with the needs and wants of the 21st century learner? Peter, first let’s deal with the issue of fiscal accountability, the central issue of the article on which you’re commenting. Even if these are great innovations, there is the question of whether the charter school model is fiscally sound. If I leave a blank check on the street, you might pick it up, cash it and use the money to buy me a pony. I may love the pony. The pony may change my whole life for the better. But that doesn’t mean I should go around leaving blank checks everywhere. Maybe it worked out this one time. It won’t in the great majority of cases. If I keep doing it, I’m going to lose my pony and a whole lot more. Second, charter schools are not emblematic of the kind of innovations you describe. They are much more likely to enact zero tolerance discipline policies, engage in “true grit” pedagogy and test prep on top of test prep. Taken as a whole, they are not centers of innovation if what we’re interested in is student well-being and not making bundles of cash for ourselves and our investors. Third, many of these innovations could easily be achieved at traditional public schools if they were equitably funded. In fact, you’ll find frequent innovation at the public school level – especially in schools where funding is not at an all time low. Fourth, given the lack of transparency and accountability at charter schools, the innovations of which you speak cannot be adequately evaluated. It’s like conducting an experiment outside of laboratory conditions or without peer review. Non-tested factors need to be controlled. You need to be able to prove that the experimenter doesn’t have his or her thumb on the scale. That can never happen at a charter school because they exist in the wild west of education. So in summary, I think we should examine charter schools so-called successes with an eye on proving they actually work and are reproducible at a school that is accountable and transparent – a fully public school. My suggestion to you would be to find ways to make charters like yours not only accountable but ESSENTIALLY accountable. Don’t just do the right thing because you’re a good person. Commit your schools to the legally binding path of fiscal responsibility. Meanwhile, where regulations serve no purpose, remove them for all schools. In other words, if there are good charters, make them fully public. If there are net benefits to some freedoms from regulation, extend them to public schools. That’s what’s best for all students, not a series of separate school systems some of which may actually provide a quality education. Fascinating book suggestion, Robert. I’ll have to check it out. The quote you cite may help explain the charter industry’s insistence that it is only looking out for the needs of children of color while civil rights organizations like the NAACP and Journey for Justice call for a halt to school privatization. There is something extremely paternalistic about the business community getting rich off the backs of black and brown children without even providing them a quality education in the process. Racism and capitalism have walked hand-in-hand since long before our country was founded. And they are still marching together today. Steven, using your initial analogy – if I get a blank check and I buy you a pony and that pony changes your life for the better then I have done my job as a teacher and an administrator. Even if it doesn’t work for every student every time, it’s like the story of the old man walking on the beach who throws the starfish back in the ocean and the young man says why are you doing that there are thousands of them on the beach, what difference does it make? The old man says it made a difference to that one and keeps walking down the beach throwing starfish back. As a teacher and administrator I can never save them all, but I damn sure can work hard to save the ones I have. I also find flaws in your general blank check and pony analogy. First of all I have never in 15 years seen a check that was anywhere near blank. Charter schools in my state receive the same per pupil funding as the district schools, minus any local levy dollars. We don’t have an October 1 count like other states, funds are adjusted throughout the school year. We are required to have elected school boards, open meetings, annual financial audits and yearly reviews by an independent authorizer. Furthermore, in my experience I am not providing a pony, but a healthy meal, a safe place to be, and a future, so yea many times those things do make considerable long term improvements. As a follow up I feel as though you and many of your contemporaries share the same habit of throwing out the baby with the bathwater. As I stated earlier, there are many flaws with charter schools throughout the country, I have been an outspoken critic of many of the models, and I have been involved in helping improve charter schools, (as well as traditional districts schools) through legislation, board work and statewide committees. I am not blind to the issues with charter schools, but neither am I blind to the problems with traditional district schools. We need to work towards improving all schools, while recognizing and replicating the things that schools, whether they be district schools, charter schools, private schools, on-line schools, or home schools do well. I find it interesting that you ask me to “examine charter schools so-called successes with an eye on proving they actually work”. How are we examining traditional district school success and proving that they actually work – standardized test scores, graduation rates, student engagement, student hope and happiness? If those are the measures of success we aren’t doing the best job with many segments of the population. There are many, many problems with education in America, but charter schools don’t scratch the surface of those problems. You also state that, “many of these innovations could easily be achieved at traditional public schools if they were equitably funded.” If that were true why don’t we see these kinds of innovation? Fifteen years ago I looked at the education landscape and said I am tired of seeing teachers not respected, teachers not being able to innovate, watching money go to sports fields and not students, seeing administrators come and go, and having precious student time taken away for test prep. What I found was that it wasn’t necessarily a funding issue, but an issue of funding allocation and general aversion to change. Not wanting to wade into that mess I figured I had two options, I could take the legislative track and fight an immovable system, or I could jump ship and help co-create a school that was more in balance with my beliefs in student learning and youth development. Thankfully I was blessed to be able to stand on the shoulders of giants like Ted Kolderie, Wayne Jennings, Ember Reichgott-Junge, Milo Cutter, Bill Wilson, Joe Nathan, Doug & Dee Thomas, and many others. I was able to join a group of passionate, dedicated, innovative educators and co-create a school that worked for a group of students that had been mostly forgotten by their district schools. Our philosophy was and always has been, we are not going to be able to change the entire education establishment, but we can make a difference in our own ecosystem. Steven, let me ask you, as an educator and an ethical leader yourself, – if you had the opportunity to co-create a high school that is based on a philosophy of a small learning community (no more than 200 students) with small class sizes (no more than 16 students), where you as a teacher were a member of the publicly elected school board, and your voice was actually listened to and valued would you take the chance? If you could be part of a professional organization where teachers are the leaders and tensions between teachers and administration doesn’t exist, because you all have equal standing, wouldn’t you welcome that challenge? If you could have a student advisory of sixteen 9-12 graders that you mentor from the time they start with you until the time they graduate. Where you could develop long term meaningful relationships with your students that are based as much on social/emotional needs as they are on academic needs, would you do it? If you could be considered an educational professional and co-design learning experiences that are based on student interests and passions instead of state curriculum and testing, wouldn’t you do it? Fifteen years ago I did just that and quite honestly I don’t spend a lot of time worrying about what others are doing, I worry about my students and I help make changes to the system by welcoming multiple teachers, administrators and students from all over the state, country and the world every year to discuss what we are doing and help them replicate the parts that they think will work best for their schools. Peter, please understand that none of my criticism of charter schools is personal. I don’t know you. You seem to be an honest person who really cares about his students. I have met other charter school teachers who also seem to have a real desire to do well for their students. However, that doesn’t change the fact that the system of charter schools vs traditional public schools as a whole is an abject failure. Nationwide, it has failed to increase learning. It has done just the opposite. The industry you have aligned yourself with has misused the public trust and caused much more suffering than success. Meanwhile, it has drained traditional public schools of limited funding and resources. My point stands. Charter schools cannot work simply because of people like you. They have to work because the law forces them to be transparent and accountable. That may not be important to you in your role, but it is important to the public at large. It’s important to me as a taxpayer. It’s important to me as a teacher at a public school where I have to do more with less in part because of an unaccountable local charter school. It’s important to me as a father whose daughter goes to a traditional public school that has to do more with less because of a charter school parasite sucking away funding. It’s important to me as a citizen who has to deal with a more ignorant population because we do not meet our obligation to educate everyone due in part to school privatization chicanery. In short, if you buy me a pony with my blank check, I’ll be happy today, but tomorrow someone else will take the next blank check I offer and rob me blind. I won’t get to keep my pony. So your efforts will be wasted. Steven, thank you for the civil discussions. I think we can both agree that we are not going to see eye to eye on the charter school issue. I do, however, respect your writings. I read your book and I regularly follow your blog. I don’t always agree with your positions or analysis, but you are always thought provoking. I would like to leave you, for now, with a couple of thoughts. The first one is from a recent conversation I had with Bob Wedl, former Commissioner of Education in MN, with regard to the perceived issue of charter schools “stealing” funding from district schools. He reminded me that district schools don’t have kids, charter schools don’t have kids – parents have kids and they choose the best opportunities for their children. It seems like you are a well read, scholarly learner, so I would also like to recommend a book for you. If you have not already read Wayne Jennings’ School Transformation, I would strongly recommend it. If you are not familiar with Wayne, he is no flash in the pan reformer, Wayne has been supporting education in all forms for more than 60 years. Steven, have a wonderful school and I am sure we will be conversing more in the future. Thanks for commenting, Peter. It’s nice to be able to speak to someone and not at them. When the government forces schools to compete for funding, there will always be winners and losers. That’s a terrible way to administer resources. And forcing parents to move their kids around like they’re in a game of musical chairs isn’t good for anyone, either. I think if we truly cared what was best for all students, we could find much more equitable solutions. We may not always agree what those solutions are – when does anyone ever agree with everyone else? But we must try to reform the system with the best interests of all children at heart. Thanks again for engaging and doing what you think is right.